On Monday 5 November 2018, the Great Hall of the WMDC will be officially renamed Jan Laurens Hartong Hall. It will be a special evening with live music, including Nueva Manteca, and several speakers. A memorial plaque is also being unveiled. Jan Laurens Hartong (Amersfoort, 5 November 1941) died on 1 May 2016 in Rotterdam. He was 74 years old. Jan Laurens was an icon inside and outside of Codarts. An enthusiastic musician and an involved teacher, who has been decisive for the face of Codarts. He was founder of the World Music department together with Joep Bor and he invented the name Codarts. His pioneering spirit and unrelenting drive generated widespread admiration. He was very popular with his students and colleagues. 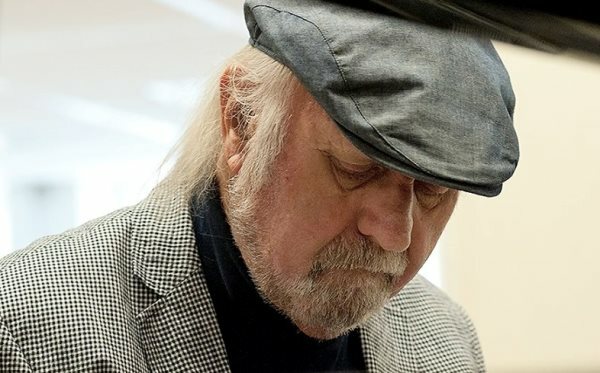 Until his retirement, in December 2006, Jan Laurens was piano teacher and artistic director of the Latin / Latin jazz / Brazilian study programme at Codarts. After his retirement, he remained active as an ensemble teacher for ‘his’ study program. He was associated with Codarts for about 35 years. Jan Laurens had come to know Latin music through his brother, who was a dancer. “That boy came home with Cuban dance LP’s.” In 1982, salsa was a craze at the time, and together with a number of other Dutch musicians Hartong founded the Latin-jazz group Manteca, named after a well-known Cubop composition by Dizzy Gillespie. In 1984 he visited Cuba, to meet musicians and learn about it. “At the time, everyone just wanted to go there to see the revolution, I was the first to go to Cuba because of the music.” Three years later he was there again. He then decided that Manteca had to move away from the salsa-like music, with singers, and to focus more on the real Cubop music, without singers. Since then, the Nueva group has been called Manteca. At the beginning of 2007, Musical Terms Worldwide appeared, a dictionary for the modern musician, with more than 1,600 entries plus twelve essays on as many different musical cultures. Jan Laurens called the making of such a book an impossible task at that time, which no one had done yet, but he succeeded. Musical Terms Worldwide was intended primarily to ‘stimulate the curiosity of musical travelers’. In the WMDC (Pieter de Hoochweg 125, 3024 BG Rotterdam) the Codarts departments Jazz, Pop and World Music are housed, as well as stage Grounds and SKVR Music, Pop School, Jazz School and Dance.